Changing your strategies with time is necessary. Otherwise, you can bid farewell to all chances of success and progress. If you are an educated and trained professional, then you need to bag a job that has the potential for promotion in future. If you are the owner of any firm, then you need to hire proper candidates who can look after several departments. One sector has to work in close co-operation with the other, in case both desire to make the profit. So, several trends come and go, depending on the need of the market. It is apparent that you can expect to see specific enhancements in the staffing industry in 2018. With time, both business owners and recruitment experts have understood that without diversification, no one will be able to survive in the market forever. Diversification is the key that drives this competitive recruitment arena. It is not right to keep a fixed rule as far as recruitment is concerned. William Almonte, Owner of Titan Staffing System says that diversification, not only in terms of hiring but also in selecting new locations for setting up new business ventures is a must. After a particular time, all viable resource in a specific area will drain out. To stay afloat in the market, one has to diversify. It stands true both for job seekers and job creators. 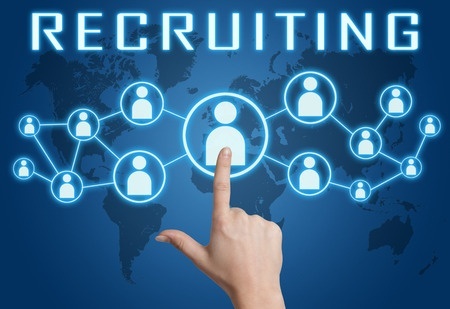 With the introduction of the internet and job sites, the entire face of the recruitment industry has changed. Candidates no longer have to go to different offices and submit their resumes with the hope that they will get a call for an interview. With the access to innumerable job sites, a candidate can open an online account, type in the details and job preferences. In 2018, there will be an increase in the use of Artificial Intelligence. These sites utilize unique Chatbots, which will match the job seekers’ profiles with job openings. Due to the inclusion of artificial intelligence, the process has become very easy and hassle-free. If you think that you need to open a profile on the job sites to bag an opportunity, then it is the time that you learn something about another trend that has already started in 2017 but will grow in 2018. Most recruiters advertise about any opening on the social media platforms. As every individual has a representation in one social medium or another, the news will reach the right destination immediately. Even the ace recruitment firm owner Mr. William Almonte stresses the importance of maintaining and updating social media profiles. It will provide recruiters information about the personal interests of the candidate as well. Though the HR department looks after the needs of workers, it is clear that each industry will see several changes in 2018. They are all set to provide employees with flexible working hours, work from home as well as additional fiscal benefits. So, these will elevate the reputation of the agency and will also meet the requirements of employees.